The resulting value is pretty remarkable. For example, the retail cost of all the products in CS5.5 Production Premium (if purchased separately) is $6,391. 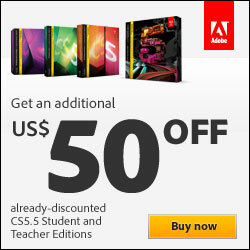 Just for After Effects CS5.5 alone, the normal price is $999 and the education price is $349. But here with this special, you can get Adobe After Effects plus six other major CS5 applications bundled together (including Premiere Pro and Photoshop Extended) for just $399. If you want to first try out any these suites before purchase, that’s easy – they are all avail­able as instant trial downloads – then just make up your mind before the extra discount runs out. All trials are fully-functional for 30 days after installation. And in most cases, you can install and run Adobe Student & Teacher Editions on up to two of your own computers. Even for countries not participating in this special promotion, or after the offer ends, the Adobe Student & Teacher Editions are a smart and safe bargain. They are available in: Australia, Austria, Belgium, Canada, Denmark, Finland, France, Germany, Ireland, Italy, Japan, Luxem­bourg, Netherlands, New Zealand, Norway, Portugal, Spain, Sweden, Switzerland, United Kingdom, and the United States. This $50 “back to school” offer is available for one week through Saturday, February 4, 2012, at 11:59pm (PST). The software must be purchased through the Adobe Education Store, and your product can either be downloaded instantly or delivered in boxed form via courier. This promotion is available only to valid education customers with shipping addresses in the United States and Canada, excluding Quebec. The US$50 savings will be deducted automati­cally from the order subtotal before calculation of tax and shipping fees. 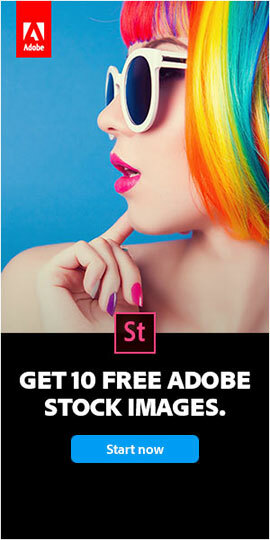 This offer may not be used in conjunction with any other Adobe Store offers. Offer and current prices are subject to change or withdrawal without notice. 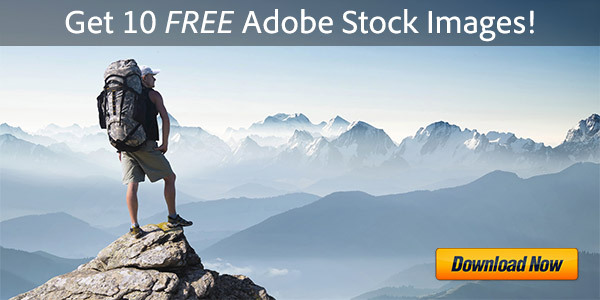 Offer is not extended for Adobe Volume Licensing purchases. Applicable local sales taxes may apply. Please share this information with your friends so they can save too! I am interested whether the students from Serbia are eligible for this discount. Resellers are okay for buying Adobe products, so long as you trust the vendor and that the product is safe and legitimate. 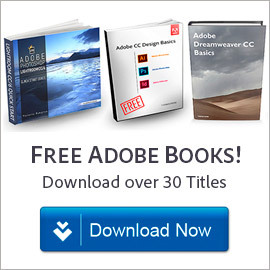 They may not be able to offer sale prices, and they definitely cannot legally offer CS5.5 direct downloads as Adobe can. 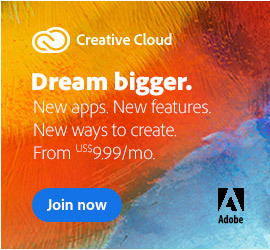 Note this particular promotion is running for North America only, and is on top of the everyday deep discounting of up to 80% off for Adobe’s CS5.5 Student & Teacher Editions generally. Hope this helps clarify and thanks again for your comment! Most of these are available on Amazon too for $369 right now. I’m eyeballing it since I’m in school and need this for my classes. Hi! I am wondering why there are no discounts or deals for disabled people and the elderly perhaps as well. Being disabled and housebound is difficult, the medical expenses are outrageous so I can’t afford the regular pricing. I don’t qualify as a student learning online and teaching myself. A thought perhaps for the millions of disabled citizens, and the elderly like my mom who would love to purchase and have some of the great software. Thank You for reading this. If a product like Photoshop CS6 is too expensive, there is the possibility of using a lower-priced, scaled-down version of Photoshop with the Photoshop Elements line. That might be something more affordable for you at under $100, especially since there are frequently deals offered on PSE, and you can do a good amount with the program as compared to the full Photoshop. Or you could even go with Adobe Lightroom, which right now is on sale for half-off the normal price, so is even more affordable. Thank you again for your thoughts and for stopping by. 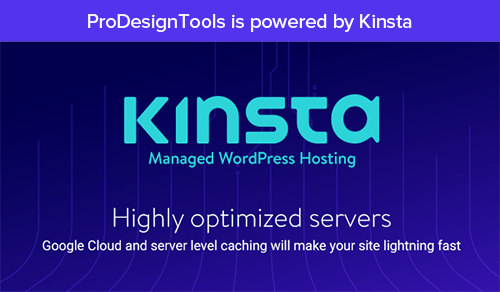 I agree with ProDesign, what you can do is to contact Adobe. First create Adobe ID, it is free and it is not necessary to have any product purchased. Post your question on Adobe forums or contact them directly via phone, chat or email.